I have been writing a bit lately about Metro Verdicts Monthly Verdicts. There really is a wealth of information in this publication. Every month, on the cover of Metro Verdicts is a graph of some kind comparing settlement amounts in different regions or different types of injuries. This month, they had a fascinating graph comparing fractured shoulder injury verdicts and settlements in Maryland and Virginia since 1987, omitting defense verdicts. The average fractured shoulder verdict or settlement in Maryland was $154,800 whereas, in Virginia, it was only $52,500. This is a remarkable disparity. If you have choice over venue – not common but it does happen – it would seem that a smart lawyer with a client with a shoulder injury would chose Maryland. In reality, it is probably more complicated than that and would depend on the injury, the client, and what county in Maryland would have appropriate venue for the lawsuit. While I love verdict data, all of it is suspect and should be just a weapon in the arsenal of a lawyer trying to figure out the value of a tort case. The most common of these injuries that we see in motor vehicle accident cases is a fractured humerus, which is your upper arm bone that sits between your shoulder and elbow. We also see fractured collarbones and shoulder blades. I’m not sure precisely why but you see more shoulder blade fractures from motorcycle accidents. A lot of our clients are able to get some measure of relief from this injuries by wearing a sling or brace. But in our more serious accident cases, fixation surgery is necessary to correct the break. In terms of injury severity, this is a whole new ballgame. This is just a real tough injury from which to recover. Rarely does anyone who suffers one of the fractures — whether if be in a car accident or a football game — recover easily and quickly. 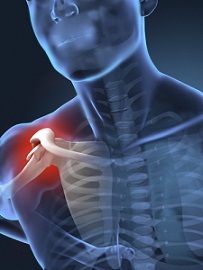 Victims often struggle after shoulder fracture, separation, or dislocation for months and even years after the injury. If the injury was not severe, there is fairly rapid improvement and return of function after the first 4 to 6 weeks. Shoulder exercises, usually as part of a supervised physical therapy program, are usually necessary. Exercises decrease stiffness, improve range of motion, and help the patient regain muscle strength. Rotator cuff injuries are different. We see a lot of full-thickness tears that are very serious injuries. From a value of the the case standpoint, they should be viewed differently. You can find information on rotator cuff settlements and verdicts here. There are not a lot of recent settlements and verdicts available. We certainly need to go back and pull some of our cases to add in some local cases. But I have listed below a list of sample verdicts and settlements outside of Maryland. Do these guarantee that your similar sounding case — or even better — will get the same result? Of course not. There is no predictive value to comparable case because there are too many other factor to be considered, most notably, venue and the client themselves. Still, this give you some flavor in your quest to try to narrow down at least a reasonable range of settlements or jury verdicts for your own case. April 2014, New York: $1,150,256 Settlement: A 52 year-old clerk was driving on the westbound side of Salisbury Park Drive in Westbury when he was involved in a head-on collision with a State Farm insured driver. She was taken by ambulance to a local hospital where she underwent treatment for head injuries and fractures of her neck, hip, leg, four ribs and left shoulder. She developed trauma-induced bradycardia – an abnormally slow heart rate- which required the implantation of a pacemaker. She sued the driver for negligence, claiming that evidence showed Defendant crossed the double center line, resulting in the collision. Defendant did not deny liability and the parties settled prior to trial for $1,150,256. December 2013, New York: $825,000 Settlement: A 77 year-old woman slipped on a puddle of water and fell down an entire flight of the exterior stairs of her multi-family home in the Ridgewood section of Queens. She was taken by ambulance to Wyckoff Heights Medical Center in Brooklyn where she was treated for fractures of her vertebra, shoulders and tibia. Her neck fractures required open reduction, fusion, which resulted in permanent immobilization of her neck. She was hospitalized for two weeks and then into inpatient rehabilitation and physical therapy. She now requires constant in-home assistance. The woman sued the premises’ manager and owner for failing to properly maintain the premises’ condition. Plaintiff claimed the puddle was formed by water that had leaked off of the building’s roof; a condition she and multiple family members had consistently reported to the premises’ manager for four months prior to the incident. Defendants claimed they had not been aware of the leak and the Plaintiff should have noticed and avoided the puddle. The parties negotiated and agreed on a $825,000 settlement. October 2012, Texas: $96,670 Verdict: A 53 year-old salesman was driving northbound on Loop 463 in Victoria. While proceeding through the intersection of Salem Road he was involved in a head-on collision with a State Farm insured driver. He was taken by ambulance to a local hospital where he was treated for left shoulder fractures. The fractures were treated with open reduction and internal fixation of plates and screws followed by physical therapy. He sued the driver for negligence, claiming Defendant was attempting to make a left turn onto the eastbound side and entered his lane. Defendant argued that she had stopped in a lane designated for left-turning vehicles and had not initiated a turn when the collision occurrence. A Victoria County jury found in favor of the Plaintiff and rendered a $96,670 verdict. March 2012, Florida: $264,115 Verdict: A 74 year-old woman with Alzheimer’s was a front seat passenger in an SUV driven by her husband when the vehicle was struck on the left rear side resulting in multiple shoulder fractures. Acting on her behalf, her husband sued the driver for negligence, claiming his wife could no longer raise her dominant right arm and would frequently cry because of her pain and limitations. Defendants did not dispute the shoulder fracture was a result of the accident, but did argue the injuries resolved with surgery and physical therapy. Defendants claimed any remaining pain and limitations was due to the Plaintiff’s preexisting rotator cuff tear. A Volusia jury found in favor of the Plaintiff with a $264,115 verdict. January 2011, California: $49,644,258 Verdict: A 36 year-old highway patrol officer was standing alongside the driver’s side of a vehicle he had just pulled over onto the shoulder of Highway 101. Seemingly out of nowhere, both he and the vehicle were struck by a pick-up truck carrying two motorcycles. The driver of the pulled over vehicle was pronounced dead at the scene. The patrol office sustained multiple fractures on 18 ribs, three collarbone fractures and two left shoulder fractures. He also sustained severing and destroying between 3 and 4 centimeters of the spinal cord, result in permanent paralysis below the shoulders. He also sustained brain damage resulting in no fine motor control in either hand, and no longer has bowel or bladder control. He, his wife, and the parents of the decedent sued the driver and the employers of Bert’s Mega Mall (the facility that had loaded the motorcycles onto the truck). Plaintiffs claimed Defendant Driver admitted to smoking marijuana prior to the collision and became distracted when the motorcycles in the back came loose just prior to the collision. Plaintiffs also claimed the motorcycles were improperly placed backwards, making Defendant Employer equally liable. Defendant Employer denied the loading of the motorcycles contributed to the accident. The jury found in favor of the Plaintiffs and award the parents of the decedent $10,000,513.55 and the patrol officer and his wife $39,443,738. Our lawyers have gotten millions of dollars in verdicts and settlements in shoulder injury case in Maryland tort cases. If you have a potential claim, call us and see if we can help you maximize the value of your case. 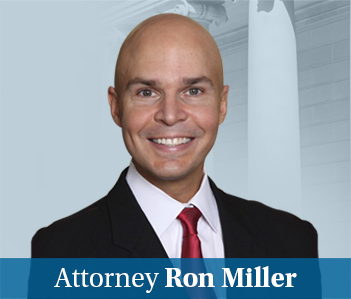 You can reach me and my law firm at 410-779-4600, you can email me at ronmiller@millerandzois.com, or you can fill out this contact form.